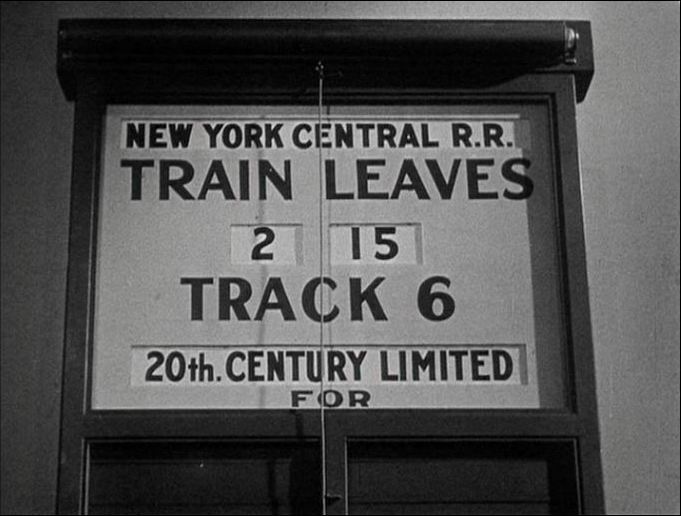 The film’s namesake refers to New York Central Railroad’s crack express train, The 20th Century Limited. 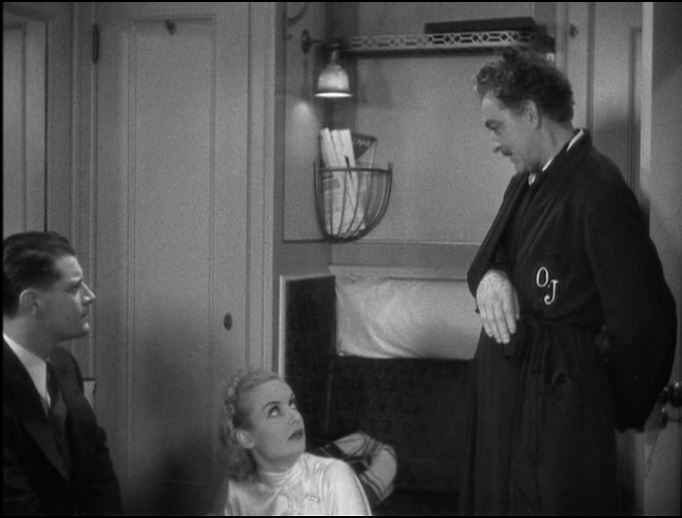 Unfortunately, most of the train “action” occurs onboard (thus on a set) in a Pullman sleeper and adjacent lounge car. 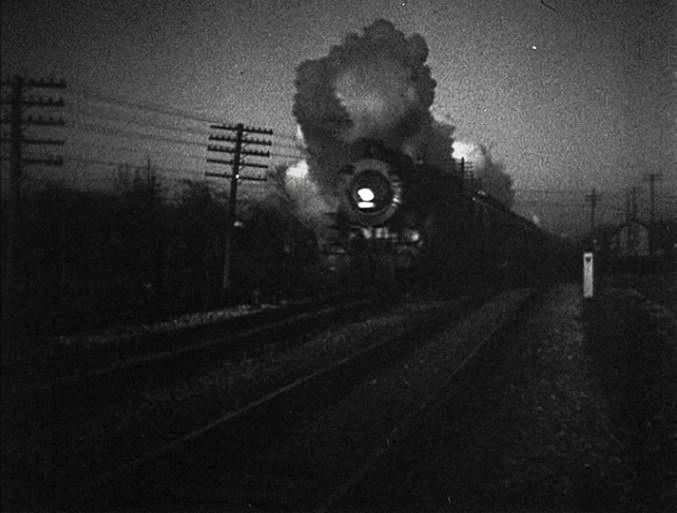 NYC #5319, shown in this montage, was a 4-6-4 Class J1e Hudson that would have, indeed, pulled the Century. Sadly, NYC did not see fit to preserve any examples of their famous Hudson class steam locomotives (or their Mohawks, or their Niagaras…), scrapping the lot of them. Bastards. 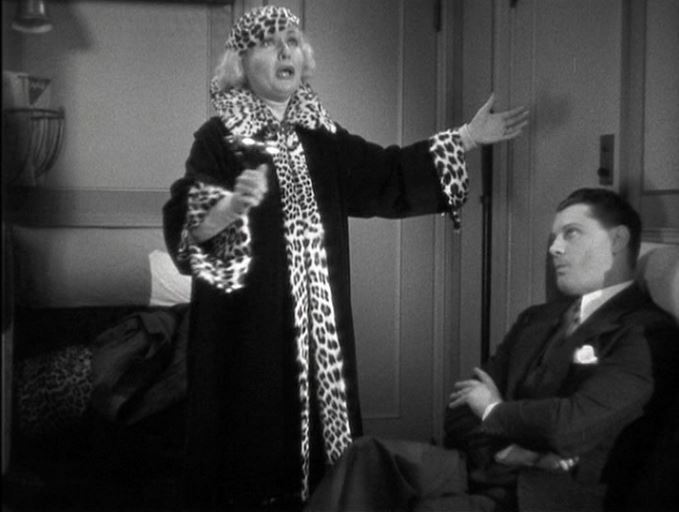 Just to set the scene a bit, Jaffe took bumpkin Mildred Plotka and made her the star Lily Garland – on the New York stage. After 3 years, she left for Hollywood and an even more successful career in pictures. 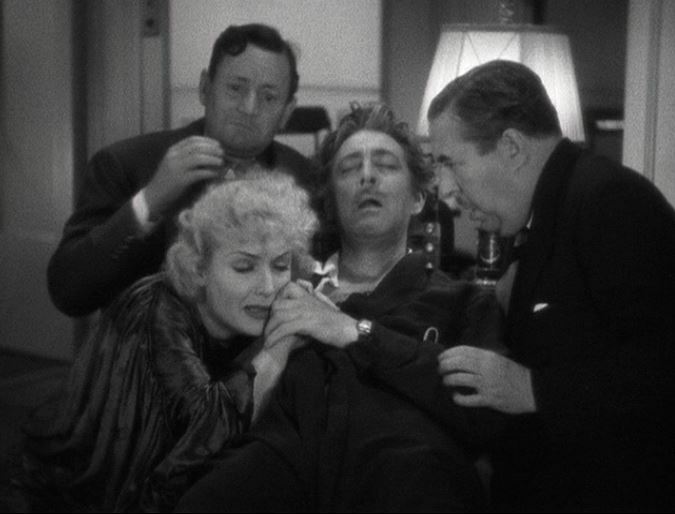 Once Lily left the influence of Jaffe, the impresario’s fortunes took a nose dive with one flop after another. 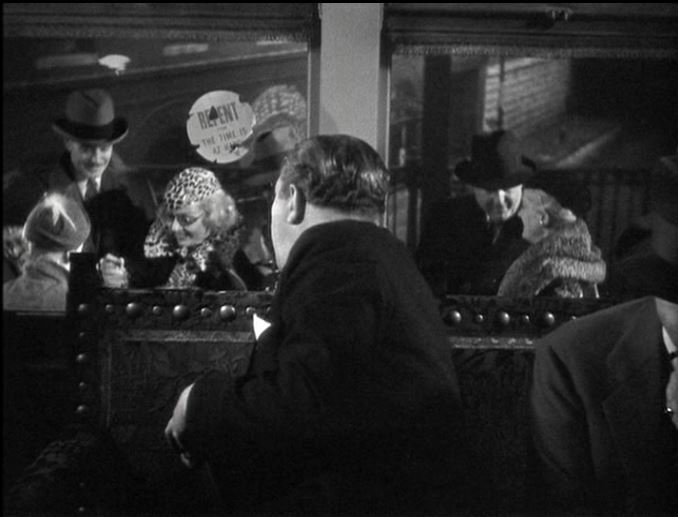 As the train scenes begin, Jaffe is trying to skip town in the Windy City. 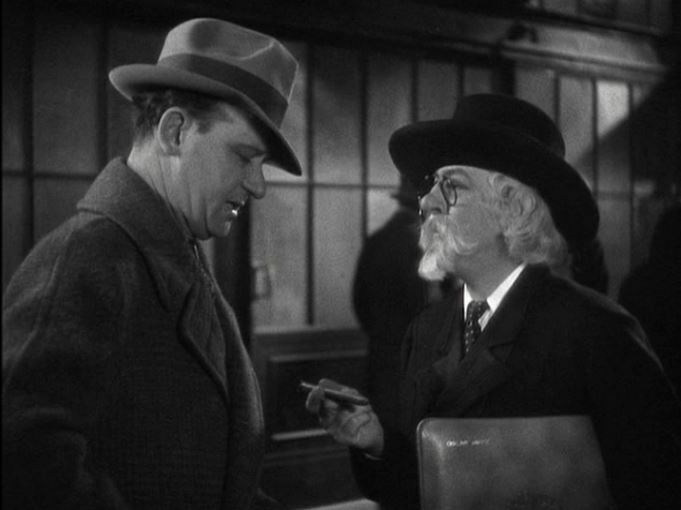 According to my December 1933 Official Guide of the Railways, #26 did indeed depart from Chicago’s La Salle Street Station at 2:15pm (arriving New York’s Grand Central Station at 9:00am the next day); Behold our first train scene, 37 minutes into the movie. The Century loads passengers in Chicago. 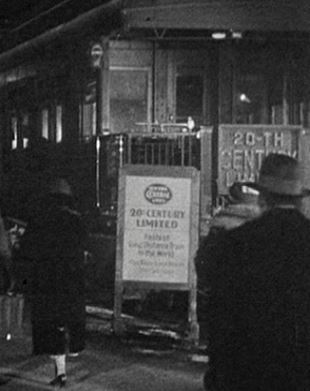 A smaller sign next to the observation car from the picture above reads, (New York Central Lines logo) “Twentieth Century Limited – Fastest Long Distance Train In The World”; Jaffe poses as a Southern Gentleman to get by the policeman (he’s wanted for many unpaid bills in Chicago). Note the “Oscar Jaffe” on his leather pouch. 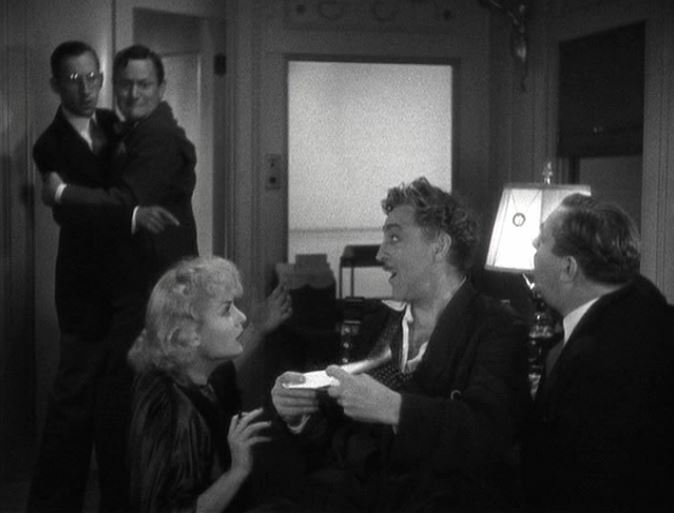 Jaffe makes it into his room along with his sidekicks Walter Connolly (as Oliver Webb and Roscoe Karns as the alcoholic reporter). 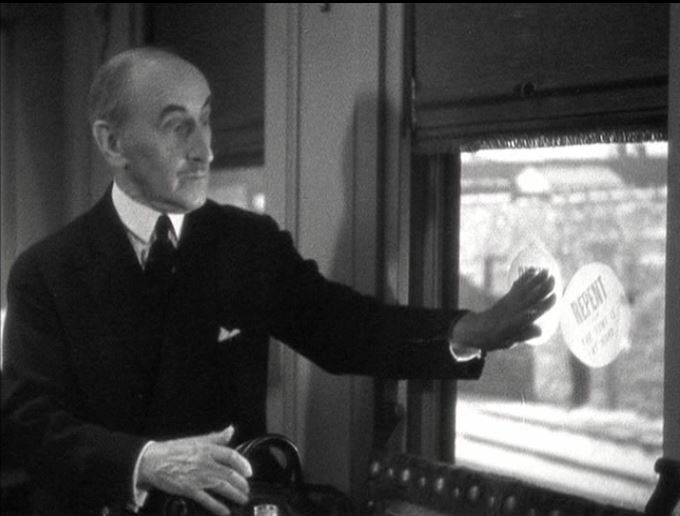 ; A running gag throughout the train scenes is Mathew J. Clark (recently escaped from the mental hospital) who goes around posting REPENT stickers on everything and posing as a wealthy philanthropist. 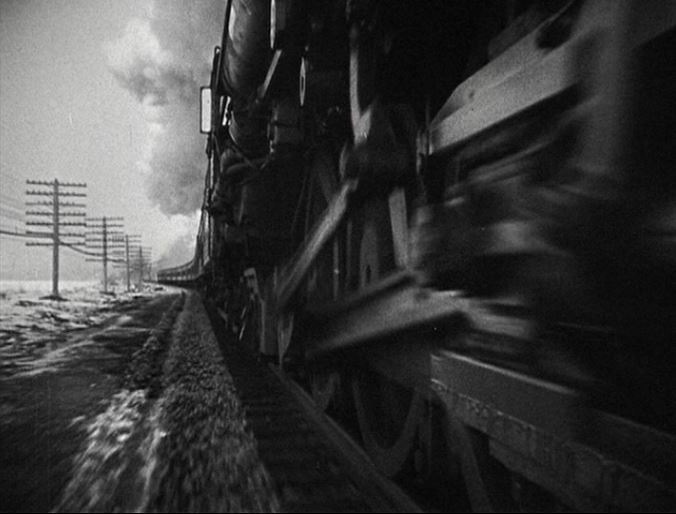 An NYC heavyweight train races along what looks like the frozen Hudson river; What’s this? Lombard/Lily is boarding the train at Englewood, Indiana! Once ensconced in her room, Lily is already complaining about the spartan accommodations; Training under Jaffe and a few years in Hollywood have transformed her into a high-strung, high-maintenance diva. 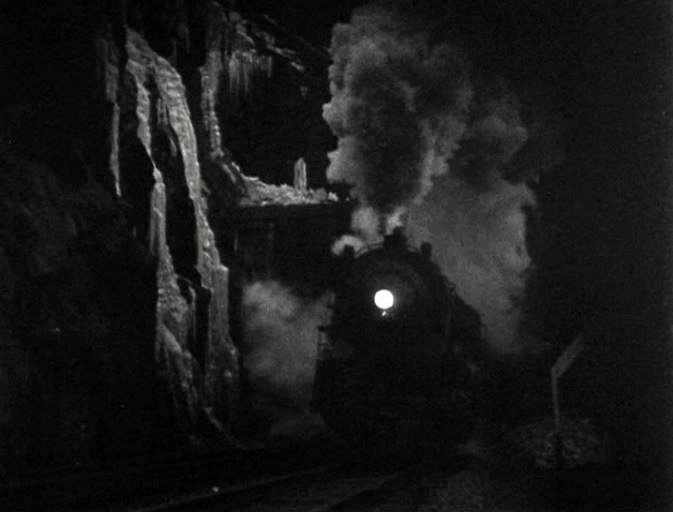 Night shot of (presumably) an NYC locomotive racing past icy cliffs; It isn’t long before Lily discovers (to her horror) that Jaffe is on the same train. Note the Pullman towels in the rack behind them. 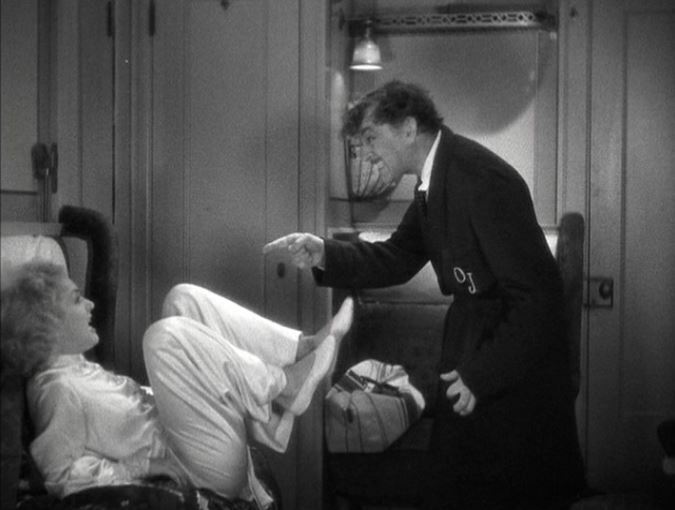 Jaffe tries to convince Lily into working with him again; Copping a feel on the 20th Century (well, he IS talking about putting on a Passion Play….). My favorite part of the movie. 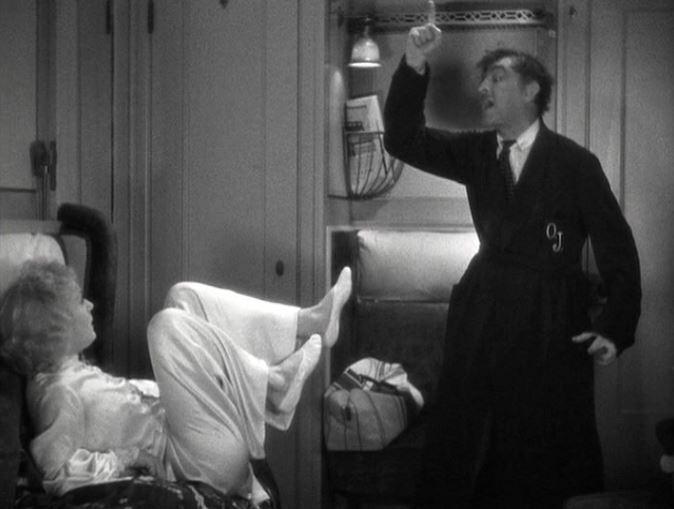 Carole Lombard does these wonderful little kick-kicks with her feet as Barrymore’s rants grow more flamboyant. Another NYC train roars along a double track mainline; What’s this? Jaffe on his deathbed? 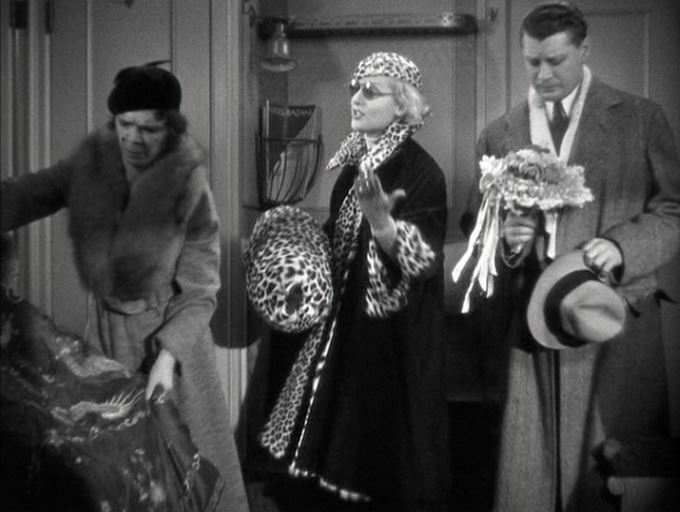 Gasping, Jaffe asks one final request — that Lily sign a stage contract — just for old times sake. It’s a badly-acted ruse, but Lily falls for it hook, line and sinker. 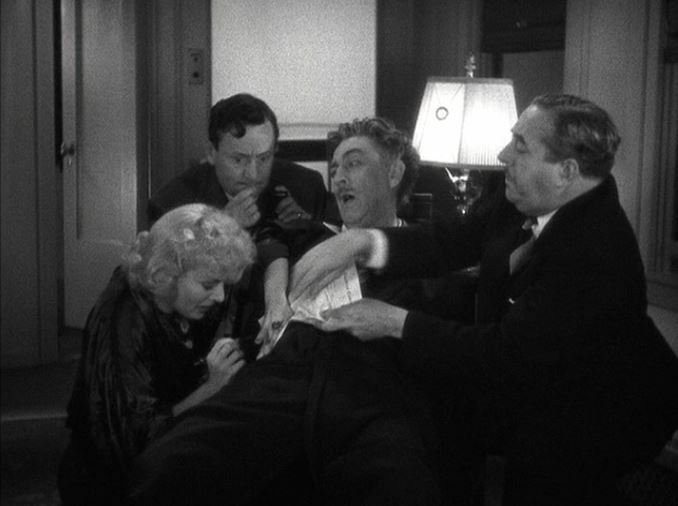 With one eye open, Jaffe witnesses Lily’s signature; Too late, someone tries to warn Lily, but treachery has won the day. Lily is once again under contract to Jaffe. 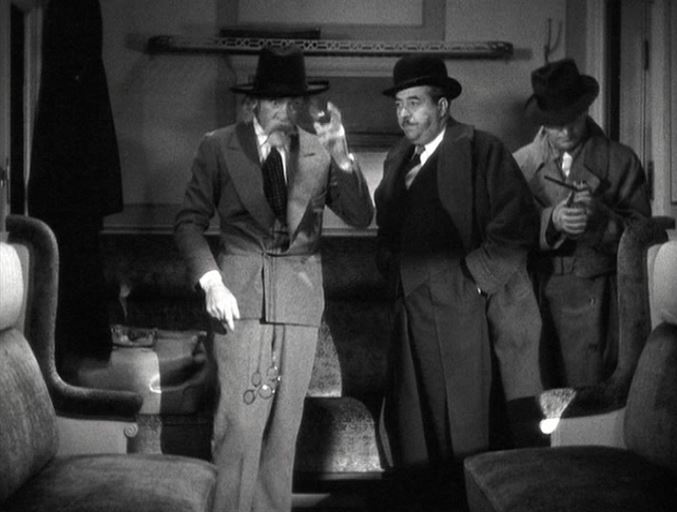 End of train scenes. 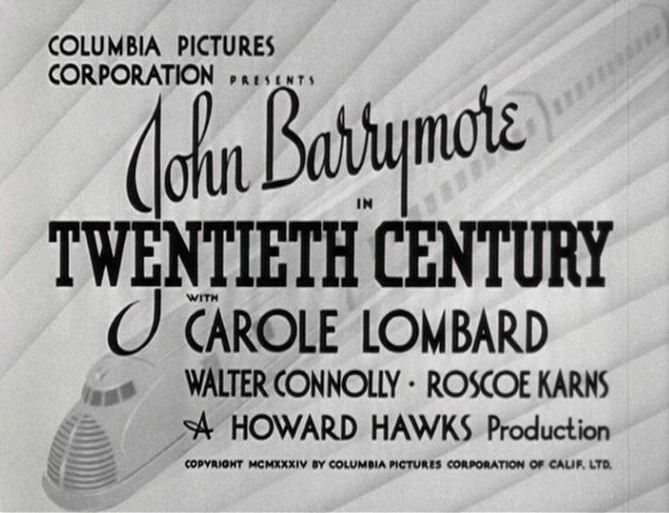 I had first heard of this movie (and the stage play that preceded it) in the Lucius Beebe book, “20th Century – Greatest Train In The World”. Growing up in a Pennsy family, however, meant I didn’t study the NYC stuff too much. 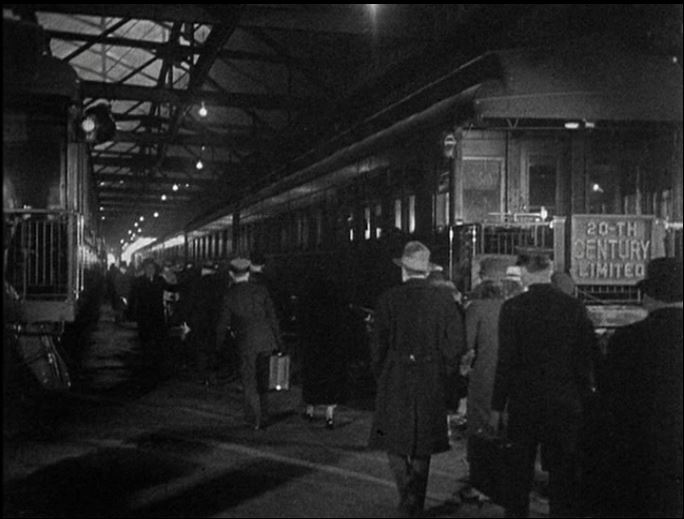 Like many of the other obscure train movies, I happened upon 20th Century on local TV. 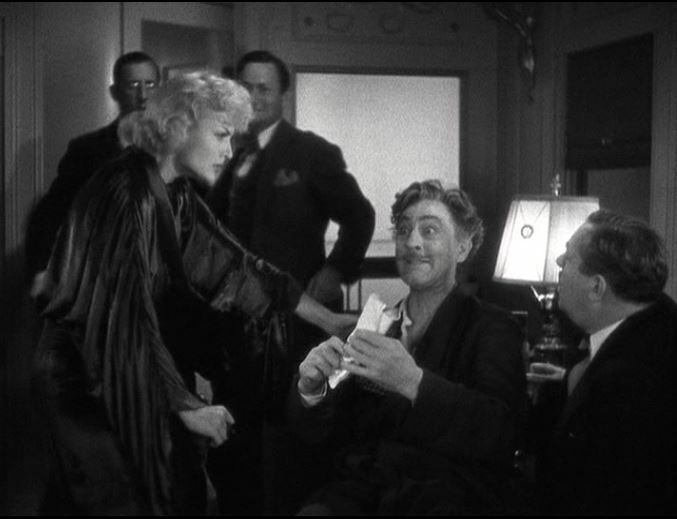 Not a bad little movie from the beginnings of the talkie era. 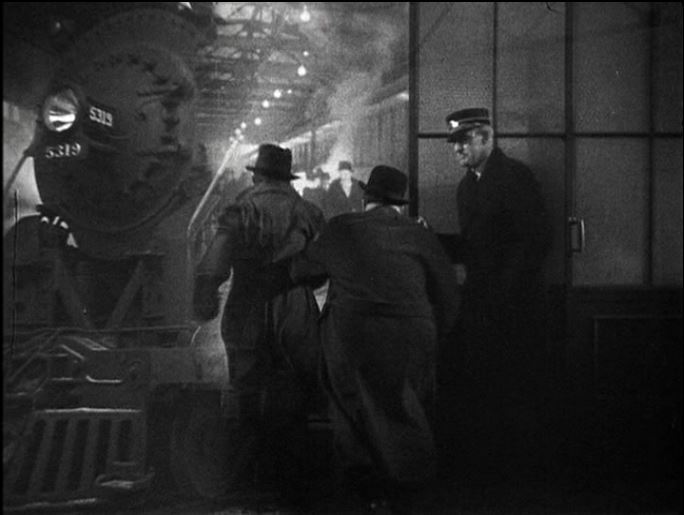 This entry was posted in Uncategorized and tagged 20th Century Limited, 4-6-4 Hudson steam locomotive, Carole Lombard, Columbia Pictures, Howard Hawks, John Barrymore, LaSalle Street Station, New York Central Railroad, New York Central System, Official Guide of the Railways, Pennsylvania Railroad, Pullman, Pullman Sleeper, Screwball Comedy, Steam Locomotive, Twentieth Century. Bookmark the permalink.